Ah, Naruto… The anime and manga series about a boy ninja’s dreams, perseverance and value of friendship. 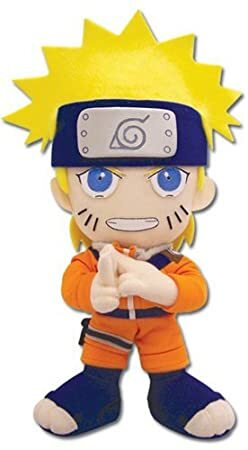 Naruto got itself a cult following all over the world, with lots and lots of people, of any age being addicted to reading and watching the series. 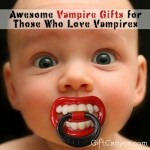 You might have a Konohakagure, Amekagure or a Sunakagure ninja in your house and might not even know it! 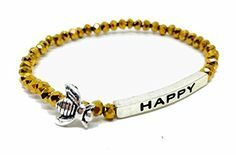 If you have someone you love that is a Naruto otaku, then you might want to give them a gift that is connected to their favorite anime. 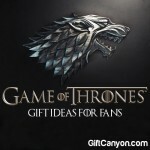 This is a list of the best Naruto gift ideas! 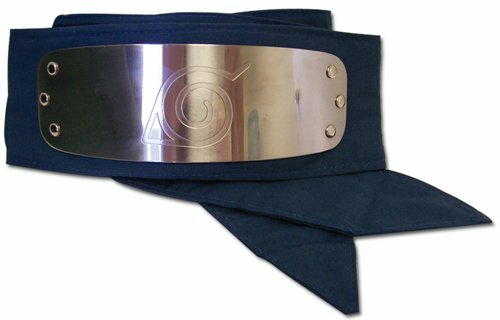 Those who watch the series know that the forehead protector (or headband in the English series) serves as an ID of the ninja in the Naruto universe. 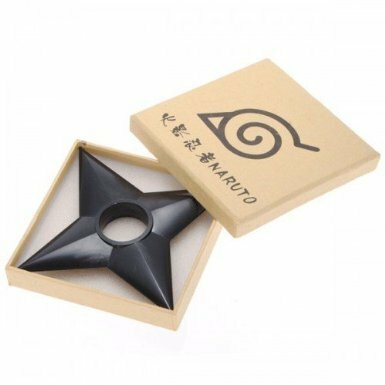 Let your Naruto-loving geek's fantasy come true (becoming a ninja) by giving him a forehead protector which looks like it came right out of the anime! 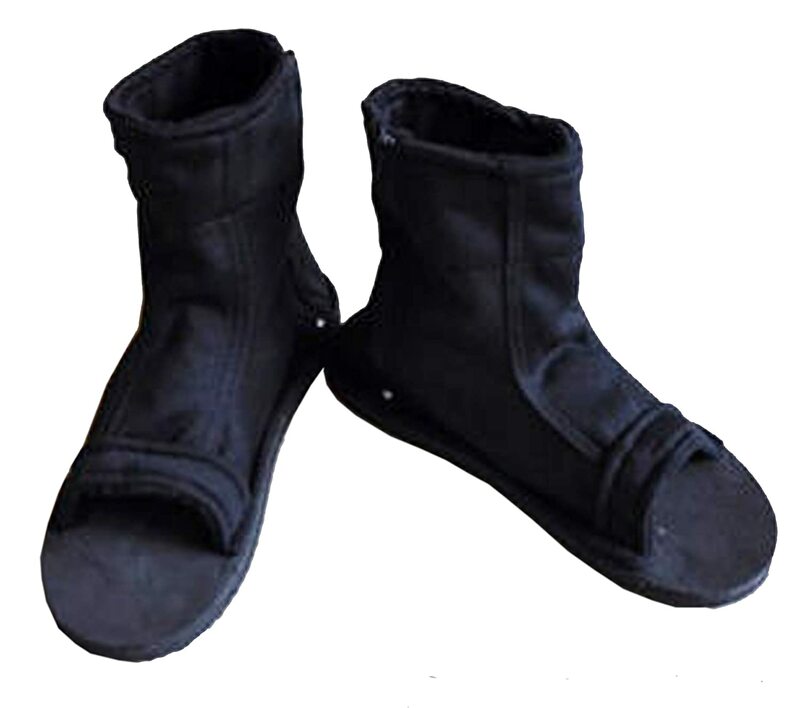 The Ninja's shoes, the tabi are a distinct pair of footwear in the series. These are footwear that look like a cross between sandals and boots. 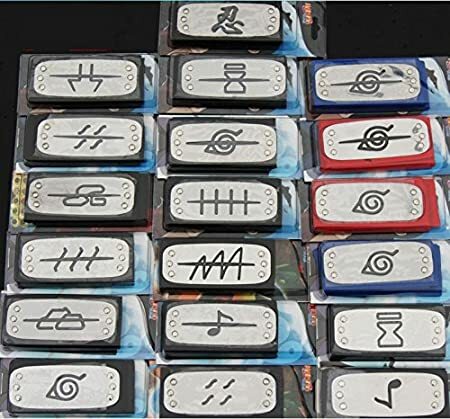 Most ninjas in the Naruto universe wear these, so why not give these to your Naruto geek, too? These are quite comfy to wear and are suitable for casual use, even when Cosplaying. 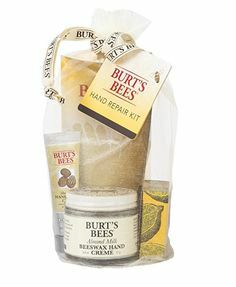 This can go with the forehead protector I mentioned above. 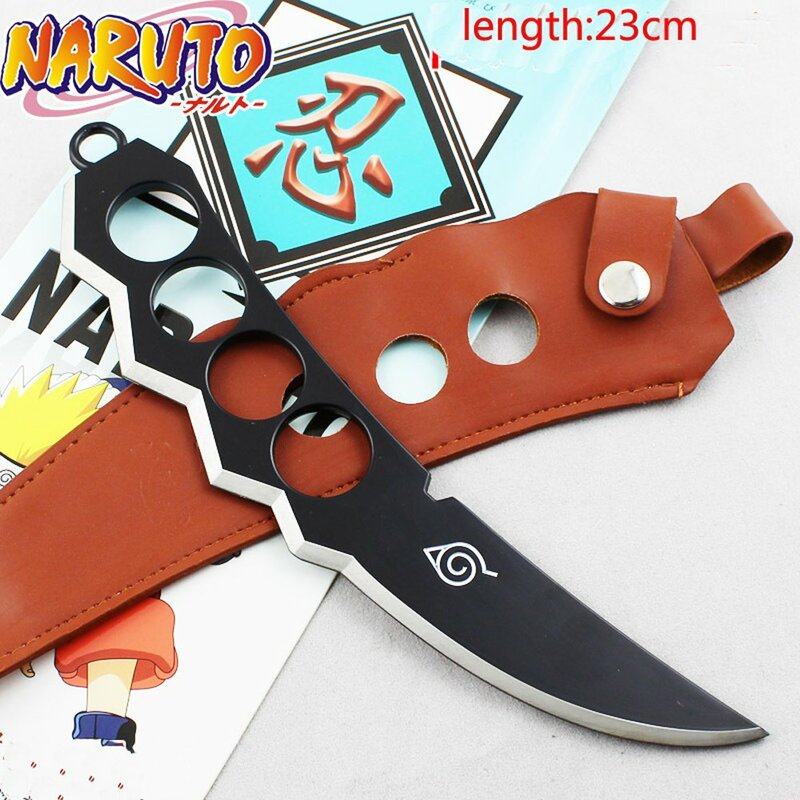 With this and the headband above, your Naruto geek can take on S-class missions anytime! Kakashi is the first sensei (teacher) of Naruto. This sometimes-goofy-sometimes-serious teacher of Naruto taught the young ninja the basics of ninjutsu. 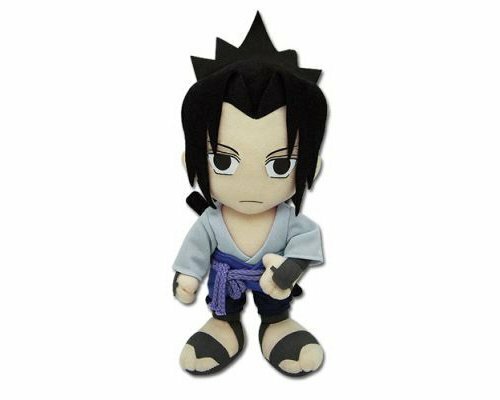 Your Naruto fan can also own a Kakashi plush and hug one of the most famous characters in the series. 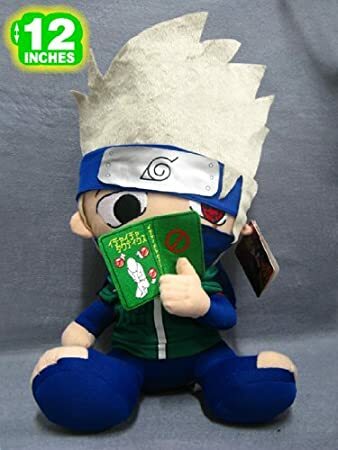 This Kakashi plush sits while reading a naughty book! 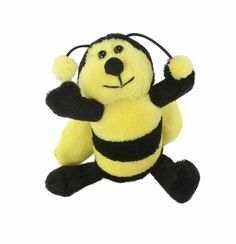 It is 12 inches tall and very huggable. 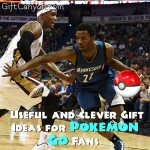 This is a great toy collector gift idea! 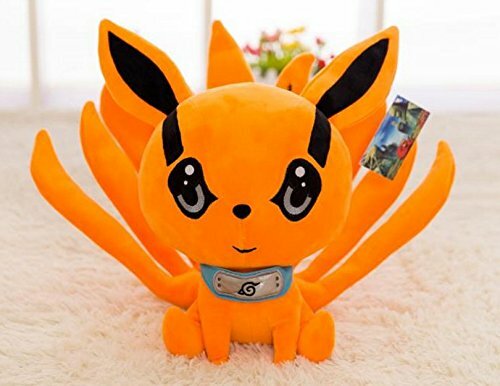 Here are some more Naruto plush toys you can give as a present to a Naruto fan! If a plush toy is too girly or too kiddie for your Naruto geek's taste, you can give them this set of four action figures. 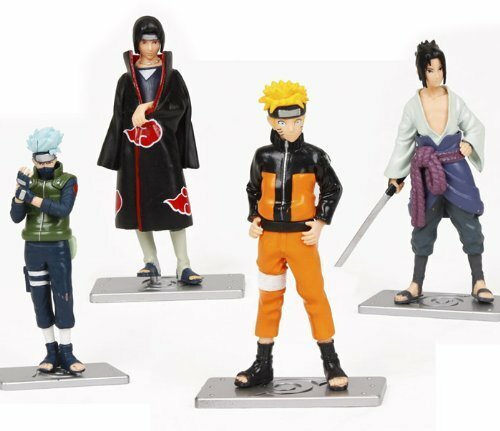 This set has four characters: Naruto, Sasuke, Itachi and Kakashi. 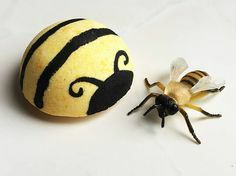 Each character is 4.5 inches tall and can stand on its own. 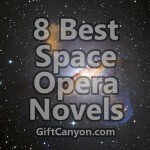 Each character looks detailed and does not look cheap at all. 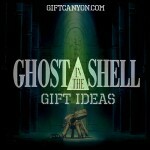 This is a great gift idea for those building a Naruto themed bedroom or those who are collecting toys. The kunai is the very basic weapon of the ninja. Kunai are the equivalent of a dagger in the Nruto universe and the most versatile tool in the Ninja's bag. 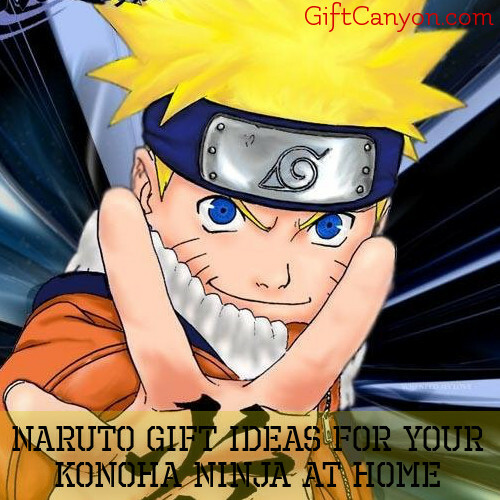 You can gift a replica of a kunai the Konoha ninja use for their mission to your Naruto fan. 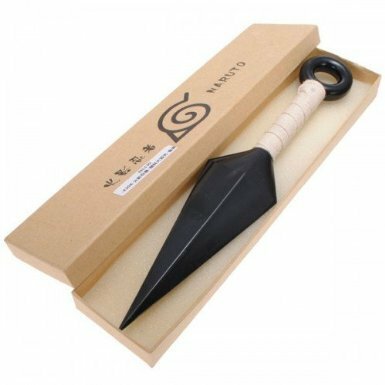 This kunai is not as sharp as a knife and it is plastic, so it is relatively safe to be used by older children. 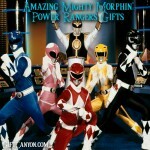 Your geek will be one happy ninja. More ninja weapon props! 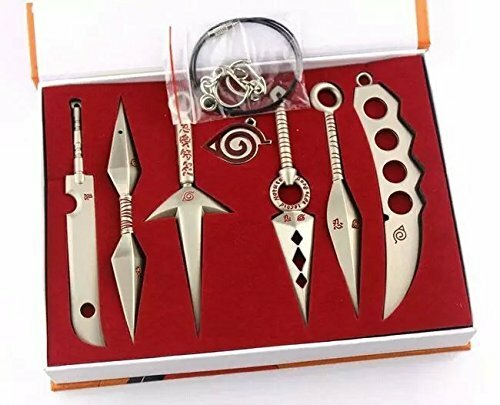 These make cool Naruto gifts for any age. The symbol of Konohakagure (leaf village) is the most good looking among the symbols of the hidden villages. Why keep it on headbands only? 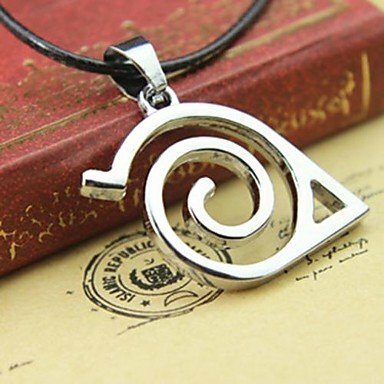 A Naruto geek girl or guy can wear this leaf symbol pendant as a symbol of their love of the Naruto franchise. This awesome pendant is about two inches and comes with a twenty inch chain. 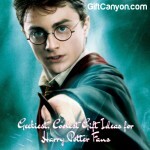 Your geek can also hang this in their car and it will still look great all the same! This super geeky bag is what your Naruto fan will need to use when he goes to school! 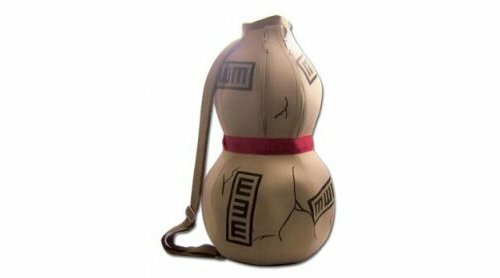 It looks like the gourd that Gaara (the ally village's leader) carries to bring his sand with him. This super cool backpack can contain all his school essential like books, school supplies, etc. 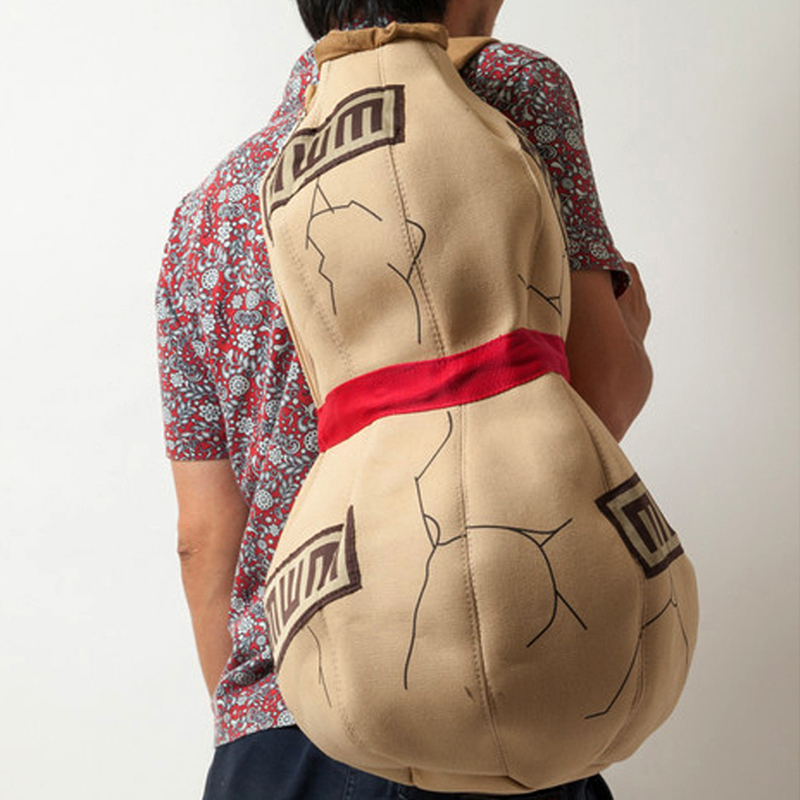 Naruto fans will definitely recognize this iconic piece of replica from the series and non fans will think this is an extremely off beat backpack! 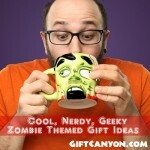 Kool with a K.
More Geek Stuff Aside from Naruto Gifts? 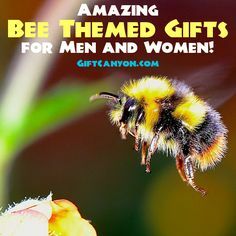 You can check out our other gift ideas! 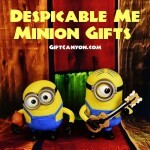 Despicable Me Minion Gifts for Adults, Kids and Just About Anybody! 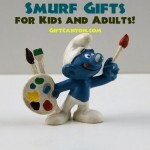 Cutest Smurf Gifts for Kids and Adults! 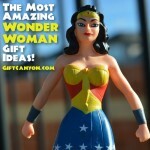 The Most Amazing Wonder Woman Gift Ideas! 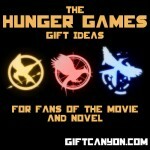 10 Hunger Games Gift Ideas: May the Presents be Ever in Your Favor!